It won’t get astronauts to the ISS anytime soon, but NASA’s Morpheus is pretty darn cool, and it’s always good to see the agency working on new spacecraft technology. In addition to sounding like a Matrix spin-off, the Morpheus Project is NASA’s planetary lander development program. Among other goals, the space agency wants a device that can take off and land vertically, like SpaceX’s Grasshopper. 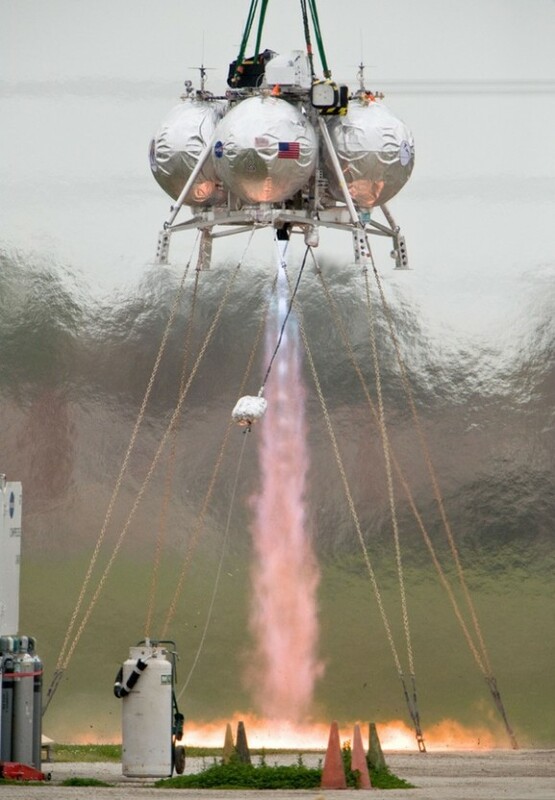 A few days ago, Morpheus completed a successful test flight at the Kennedy Space Center. Eventually, this new technology could be used to move people to asteroids, planets, and other locations within the solar system, which is NASA’s holy grail. Morpheus could carry cargo of over 1,000 pounds to the moon, including robots and rovers, and the project team is developing specific architecture and other capabilities that will eventually lead to human exploration. Morpheus is one of many different prototypes that are part of NASA’s Advanced Exploration Systems(AES), which has a slew of lofty goals that include everything from hazard detection and risk avoidance to on-board resources that would allow humans to stay for extended periods of time on other planets. Morpheus forms the foundation of those projects, tackling technologies that would make it easier, safer, and cheaper to move both payloads and humans to and beyond low Earth Orbit. One goal is autonomous take off and landing in a rocket-powered, reusable vehicle. Morpheus also capitalizes on Autonomous Landing and Hazard Avoidance Technology (ALHAT), which allows it to land safely and autonomously by recognizing a flat and safe landing site. It uses a liquid oxygen and liquid methane propulsion system, which offers a clean and nontoxic burn and can be stored safely and easily while in space. Eventually, the designers will try to figure out a way for the vehicle to produce these propellants in space. Given the necessity for oxygen on board any people-moving crafts, this will depend largely on the development and testing of methane systems. The recent flight test was a success, which is particularly good news because an unsuccessful test flight back in March in which a hardware failure resulted in an explosion after landing.